It is hard to imagine anyone more personable and engaging than Louise Evans, Director and driving-force behind Kontor. Her enthusiasm, calm assurance and integrity leaves you in no doubt that you can safely entrust her to handle any aspect of your business professionally and efficiently. After graduating with a Degree in Business Louise started her placement with South Staffordshire Health Authority, where she was introduced into the world of work and provided full clerical support to the Chief Executives. Louise then developed her early career working for the daily “Express & Star” newspaper which circulated the West Midlands. Here she took on the position of Sales Representative and developed good communication skills needed to sell advertising space under pressure and with set targets. After relocating back to Wales Louise worked in Marketing for Travel City Direct where her role consisted of press advertising, scheduling and booking adverts, promotions, press trips and organising holiday competitions. 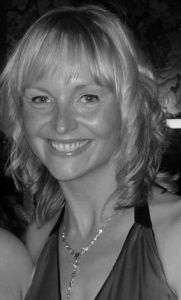 Louise took her next role for Dor-2-Dor, a leaflet distribution company within Swansea, Neath and Port Talbot. Louise was responsible for organising staff and recruiting staff depending on the business’s needs. This included placing recruitment adverts in local newspapers and ensuring the staffing levels were sufficient for the quantity of leaflets to be delivered the next week. Following this Louise joined Record Industrial Brushes, providing full administrative support within the company. Here she dealt with mail, invoicing, producing reports, credit control, accounts using SAGE and payroll using Pegasus software. Louise then took on her role as Administration Manager at Llandovery College, managing the computerised administrative system known as PASS which involved many duties such as pupil registration, school reports, registers, managing school records and providing administrative support for the college where needed including school trips and IT support. Louise also assisted with the organisation of college events including taking bookings and project management.